Allison and Samantha Williams prepare the new baby room as they anticipate the AP Psychology teacher’s confirmation for adoption. Six-hour trainings. Tuberculosis tests. Three separate background checks based on personality and character. A full house inspection. These are just a few of the things that need to be completed in order to adopt a child. A new addition to a family is an exhilarating and life-changing experience. Social science teacher Allison Williams is currently taking the necessary steps to adopt a child. She believes that it will lead to a new and exciting direction in her life. But, the process is long and very drawn out. Williams is currently towards the end of the process, in terms of being approved to have a child, not necessarily the end of the adoption process itself. That will come next. For now, she’s just waiting until she gets her first placement. She chose to foster and then adopt a child through the county. With Williams’ expertise in the fields of psychology, developmental psych in particular, she feels confident taking on the challenge of adopting a child with disabilities. Williams has always wanted to be a mom, but she didn’t have a clear picture of when that would happen. She’s always been open to the idea of adopting or fostering a child; she’s never been the type of person to need the baby to be biologically hers. Around her thirtieth birthday, she started to think about her life moving forward. She told herself that if she wasn’t in a serious relationship by the time she’s 35, she would start the official process of adoption. She’s 35 and a half now, and hopefully only a few months away from her confirmation. Many AP Psychology students agree that Williams is a wonderful candidate to be a caregiver to a child. Senior Brian Nelson, gave his feelings regarding the teacher. Williams feels that some of her most prominent character strengths will be conducive to raising a child that could have some challenges developmentally or emotionally. Williams background in developmental psychology will aid her as she makes major decisions in the raising of her future child. She’s proud of the opportunity to give a child a loving, supportive home as a kind, considerate mother. “I’m essentially saving a kid, and I think that matches well with me,” Williams said. 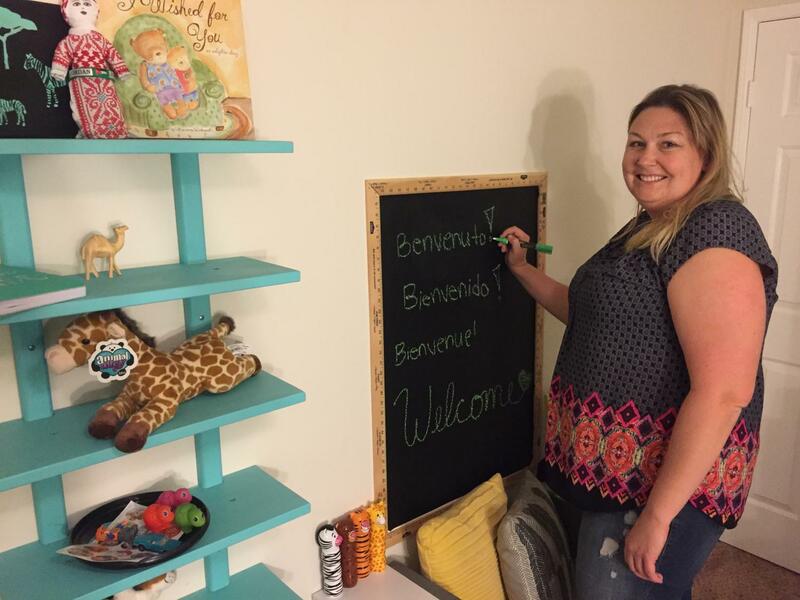 Like many Sage Creek staff members, Williams will have to learn to balance her full-time dedication to her work and students, with a potentially newborn baby. Being a full-time teacher and full-time mom is hard to balance, especially when you’re a single parent. Samantha Williams, her 26 year-old sister, recalled her reaction to Williams plans to adopt a child. The long awaited news of a child filled the room with excitement and joy. With the child hopefully coming soon, Sam elaborates on Allison’s motherly qualities. Sam looks forward to starting the studious life for the new child, as early an age as possible. Having and raising a child is very expensive. Williams says that she’ll tackle the problem of ever-rising tuition rates for her future scholar when the time comes. Not everyone in Williams life has been unequivocally supportive. Her father expressed concern about the implications of adoption. Williams has the knowledge and expertise to be more than qualified for motherhood. She is very considerate of how others feel and does everything in her power to give her students every opportunity possible.